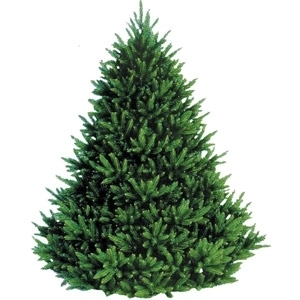 Fraser Firs are the most popular Christmas trees, and with good reason! They are native southern fir and very similar to Balsam fir with dark green needles approximately 1/2 to 1 inch long. Frasers also have an excellent scent to them and are easy to maintain. At Cofer's, we have Fraser Firs from 3 feet to 10 feet tall. In home delivery service available for a fee. See store for details.